Good Afternoon lovelies, I hope you all had a really nice weekend, the weather certainly didn't know what it was doing here. One minute it was sunny and warm next it was tipping down with rain, that's UK weather for you. 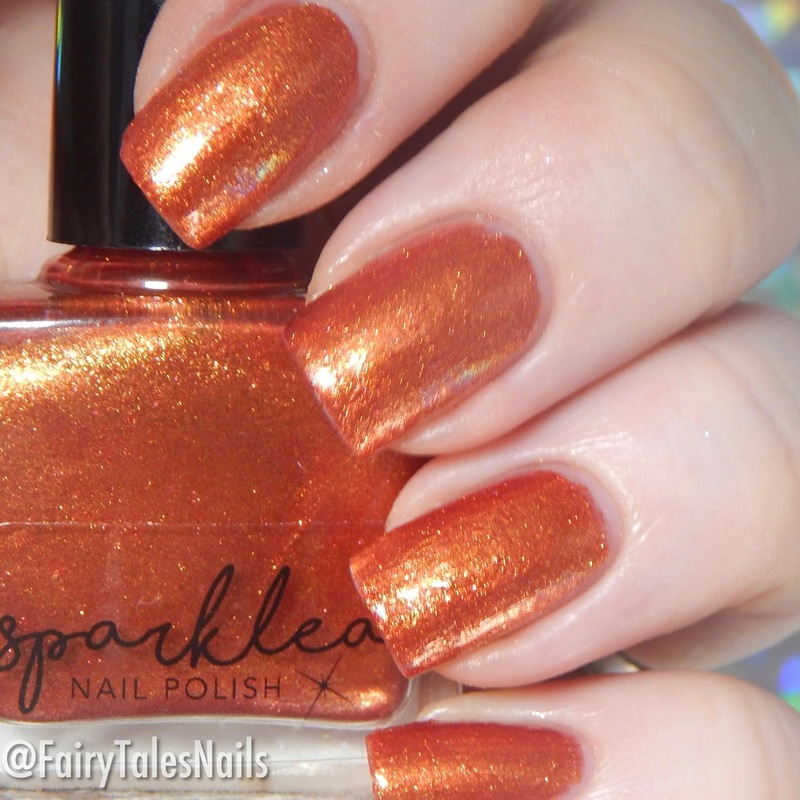 So for today's post I have some more Harry Potter themed polishes to share with you from UK indie Sparklea Nail polish. This duo was released a couple of weeks ago and I couldn't resist picking them up, they are inspired by the wonderful Professor Dumbledore from Harry Potter. As today is Harry Potter's birthday there was no better day to share them with you. 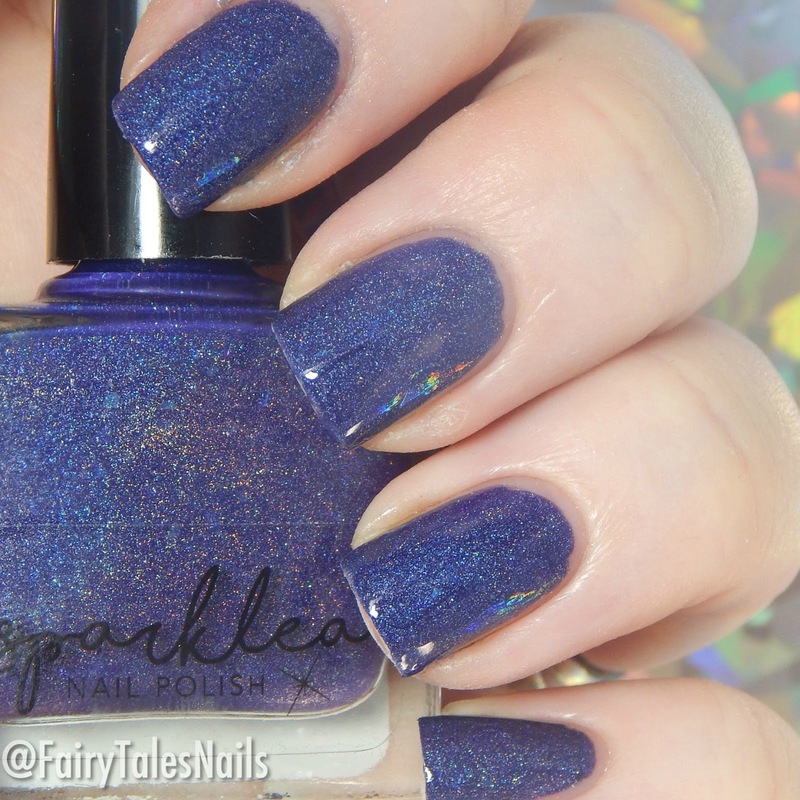 The first polish from the duo is called Dumbledore this is a beautiful navy blue linear holographic with flakies, fully opaque in 2 coats and a really lovely formula to apply. 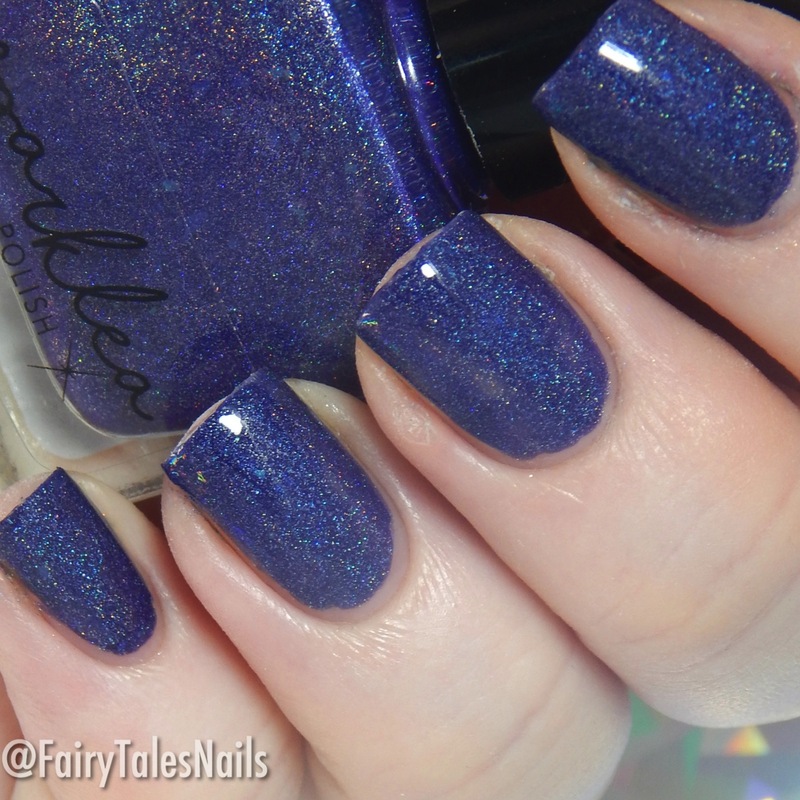 It is definitely the perfect polish to represent Professor Dumbledore. We can't have Dumbledore without the beautiful Fawkes the Phoenix, this is a stunning orange with gold flakies. It was fully opaque in 2 coats and really lovely to apply, its definitely a fantastic colour to represent the fire bird. Lea did another amazing job with this duo, perfect representation of the character and really beautiful polishes to wear and apply. I think the duo is sold out at the moment but I would definitely keep your eyes peeled for a date on when they will be back. All of polishes from Sparklea nail polish are 5-free and cruelty-free, they can be purchased in either mini (5ml) or full-size bottles (10ml). 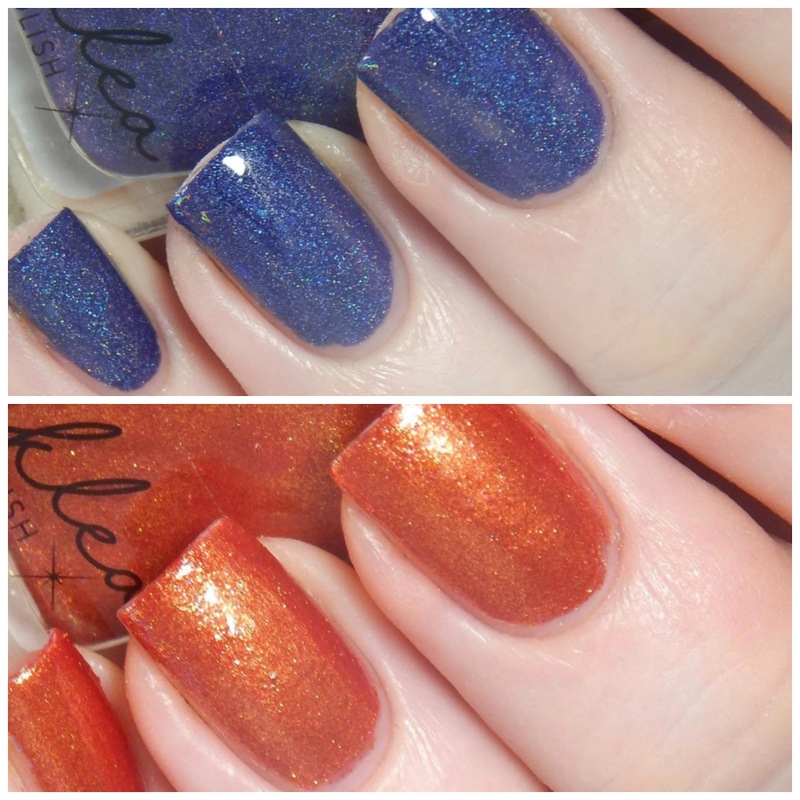 At this time she can only ship within the UK, all of the polishes I have tried from Lea so far have been stunning with beautiful formula's. I will link the shop and their social media down below so you can check them out. I would love to know which one out of the duo is your favourite, its really hard to choose but I think Fawkes would be the winner for me its a great shade for Summer too. Hope you all enjoyed this post and a big Happy Birthday to Harry Potter, I never get sick of reading the books and watching the movies. Come back Wednesday for July's Meebox unboxing and review. Chat to you lovely lot soon. Dumbledore is so pretty <3. Gah this makes me sad. Be still, my Harry Potter heart, these are stunning!! As an orange fan, I'm definitely feeling Fawkes the Phoenix! Quite accurate polishes! JK herself would be proud!!! Pretty polishes! I agree with you -- Fawkes the Phoenix is my favorite as well! Such a pretty color! Dumbledore is AMAZING!!!! Love that color!!! I was wondering why all those people were dressed up in wizard/witch costumes a couple of days ago and finally realised it was Harry Potter's birthday when a taxi driver told me! Apparently it was also Princess Diana's birthday. Dumbledore is such a beautiful color! And I totally see the reference. Dumbledore is exactly my kind of shade!